Alex: Moving into our new house, had unfortunately left me without internet for a while. 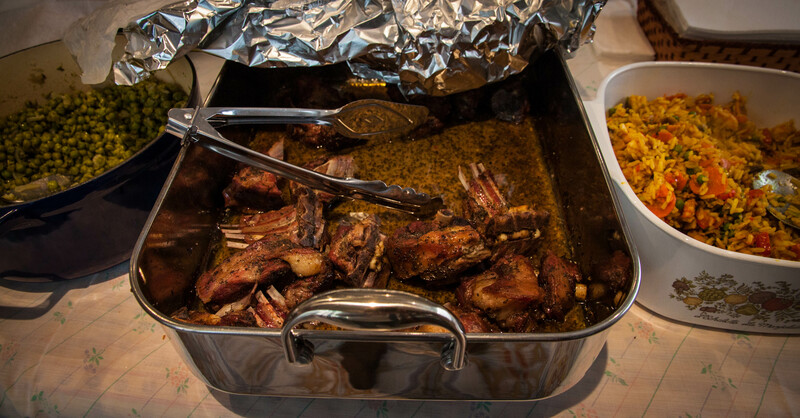 On the verge of insanity are the words to describe the past 2 and a half weeks, but in the midst of moving was Easter, so here is a quick recap of how us Italians do Easter! 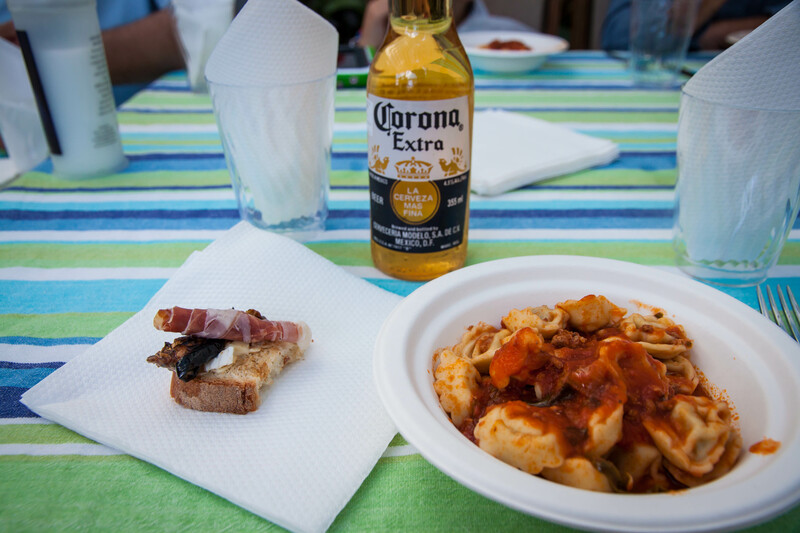 The night before our feast at Nonna and Nonno’s house was spent…you guessed it, eating! 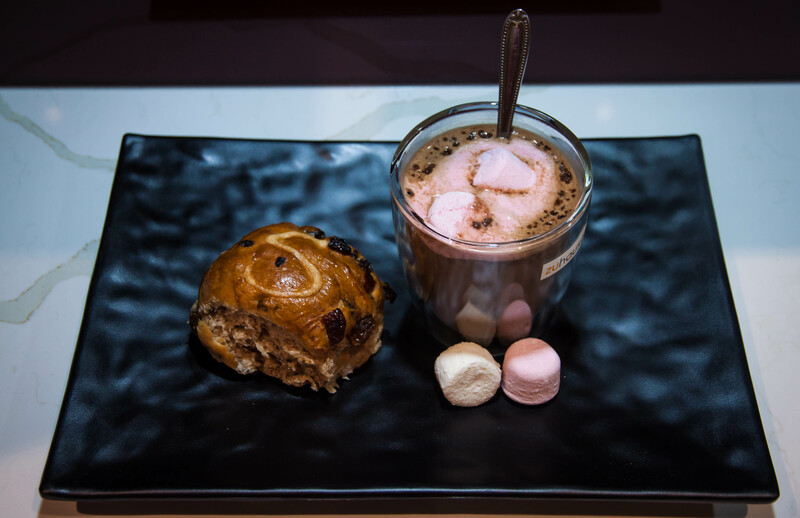 Bianca had bought some Hot Cross Buns from Sonoma Bakery and my mum makes a killer Hot Chocolate/Jarrah! I personally don’t like Hot Cross Buns and I never have, Sultana’s in my food doesn’t bode well with me but from what I gathered from Bianc, they were very flavoursome and had nice big chunks of the usual sultana’s and surprisingly, Craisins. Which were different. Now to the good stuff!! First up at the grandparents house was the antipasti, I was in charge of rolling the prosciutto, mortadella, salami, and Bianca was the ‘cheese cutter’. We normally just have provolone cheese but my uncle brought my favourite! 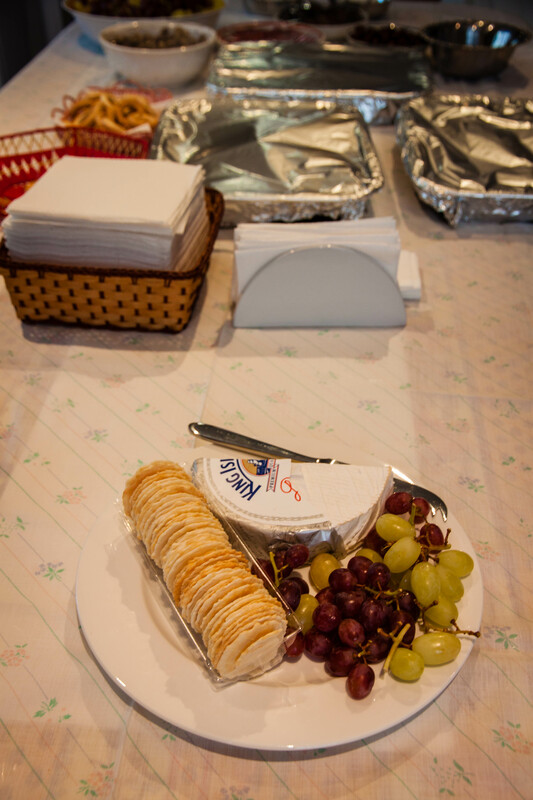 Camembert, which was really soft and decadent and went beautifully with the prosciutto and fresh crusty bread. Losing count of how much antipasti I had, it was time for the first course, tortellini in my Nonno’s homemade napolitana sauce. (and I still managed to sneak in my beautifully rolled proscuitto to my main course!) 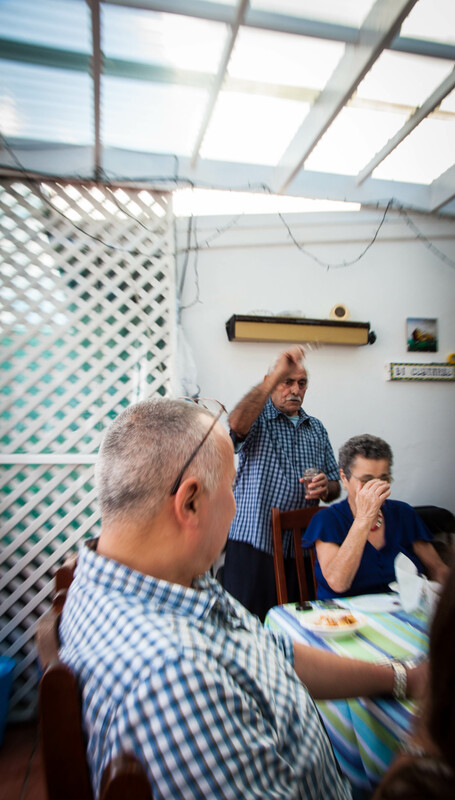 Every Easter, before we start eating, my Nonno get’s his glass of water and palm leaves from the church and says a blessing to us all. He’s been doing this ever since I can remember, it’s one of my favourite things about easter, it’s a reminder of mine and my families roots! This year the Nonni decided to do something they’ve never done before. Normally they do a succulent rabbit in a beautiful white wine onion sauce but this year they made a baby goat. The meat was delicious! It fell straight off the bone and was really tasty. 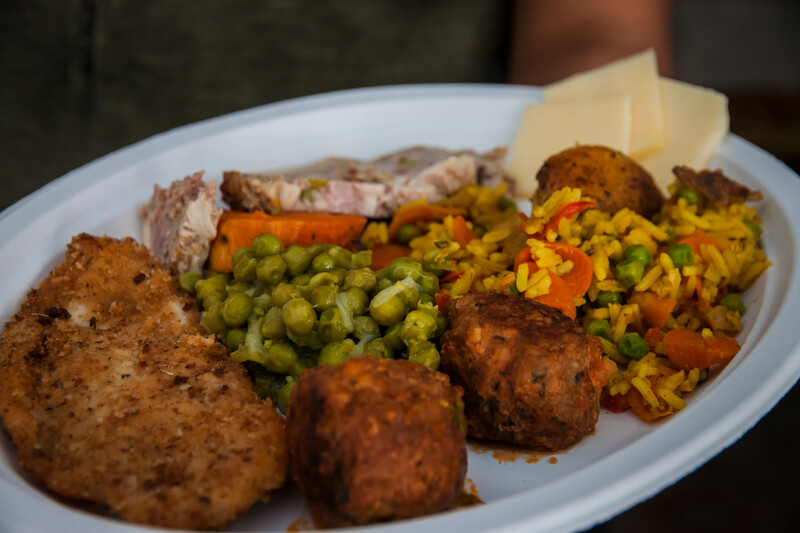 The plate above is a general representation of what we eat on our regular Sunday Night Dinners at Nonna and Nonno’s crib; -meatballs made in the sauce for the tortellini, Chicken Schnitzel, pumpkin, A Chicken and Pork roulade, peas with diced onions. My Nonna Grazia’s Fried rice (This year made by our Zia, not a regular, but it’s amazing) , roast potatoes and right at the back of the plate, what do you know some more cheese! So after about 3 and a half rounds of food was then ‘Fat Nap time’ a phrase coined by various members of the family to describe a state induced by way too much food. After the naps was then of course, Dessert! Both my mum and my Zia make the best desserts. Mum’s speciality is cheesecakes but that’s usually a Christmas desert for us, so my auntie and fellow blogger Vanessa took the reins for Easter! 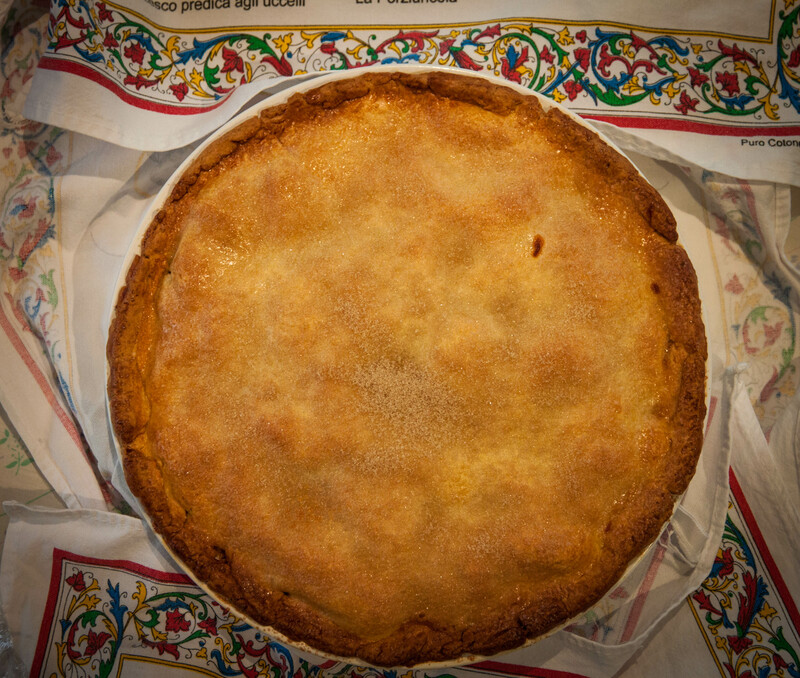 First up was the home made Apple Pie. The Pie was packed with crunchy apples and a sweet cinnamon pastry, add some cream and we’re almost at perfection. 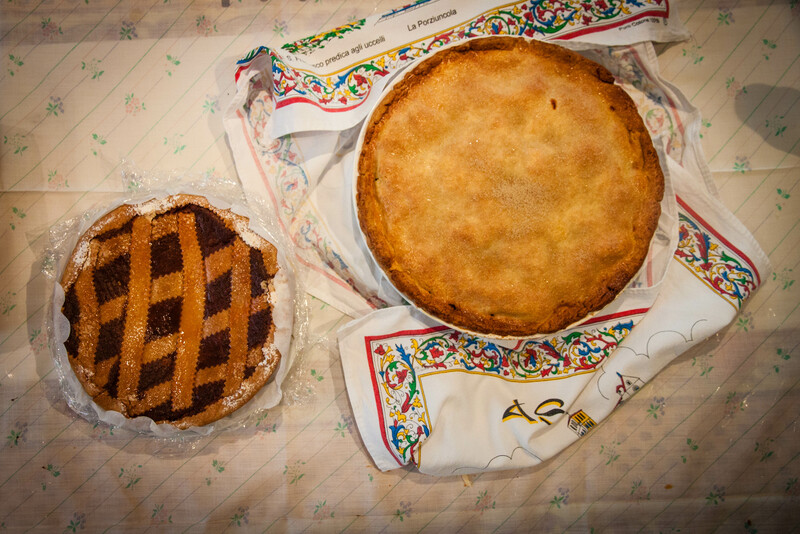 Number 2 for dessert was Nonna’s pastiera, a typical napolatana cake generally made for easter which is filled with ricotta cheese. 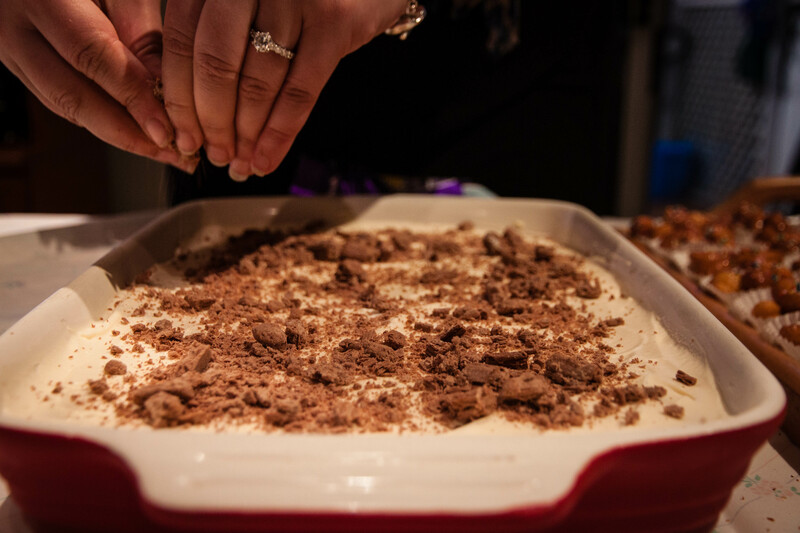 Fellow blogger, Vanessa, made a beautiful Tiramisu Cake with crushed cadbury flake over the top. The cake was fluffy and light and went perfectly with a fresh cup of coffee from the cafetiere. 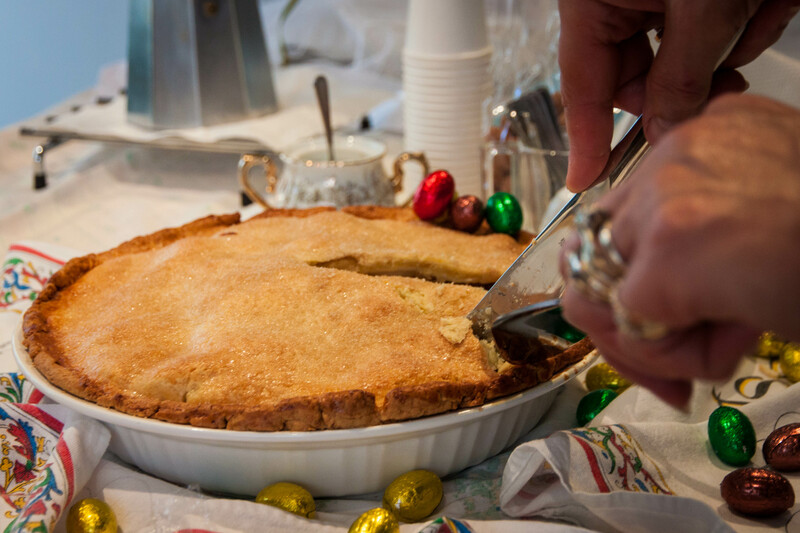 Lastly, we have one of the best desserts for our Easter celebrations! 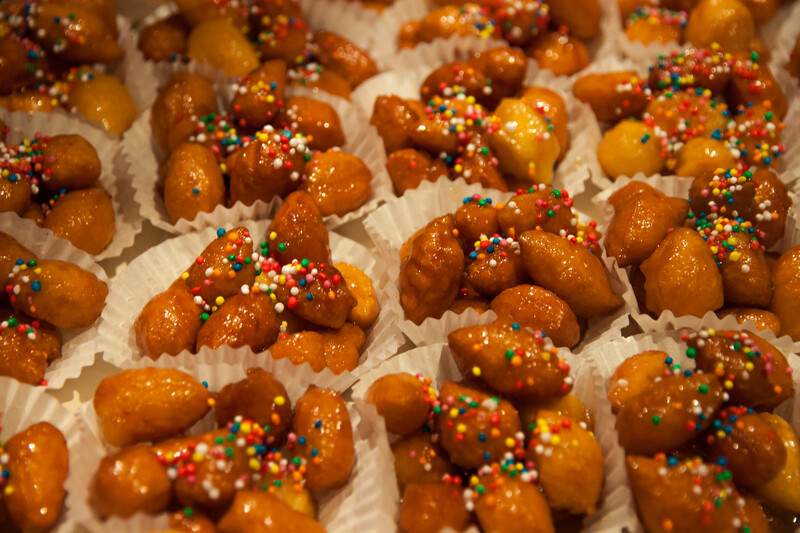 Nonna’s Strufoli, which again, is a Napalotana dish which basically is little fried puff balls that are drizzled with honey and hundreds and thousands. Yum yum! This was our Easter, I hope you enjoyed the little insight to a pretty special Italian Easter celebration. Next Dietlicious – Harmony in Health and Flavour! Caro Nipotino Alessandro, I love this post! It shows how much you get how important Family, heritage and traditions are… Bravo! What a feast for eyes and hearts! Thanks for sharing, these are best parts of cultures to keep alive and pass down. Cheers! !